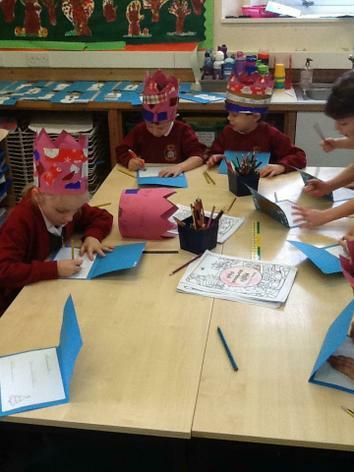 The current Topic planning for Year one can be viewed and downloaded from the link below. 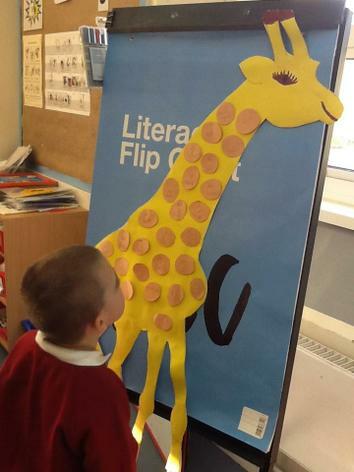 Detailed information about expectations in Literacy and Maths for all year groups - including Year One can also be viewed and downloaded below. 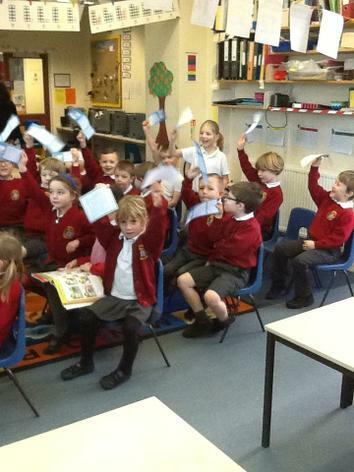 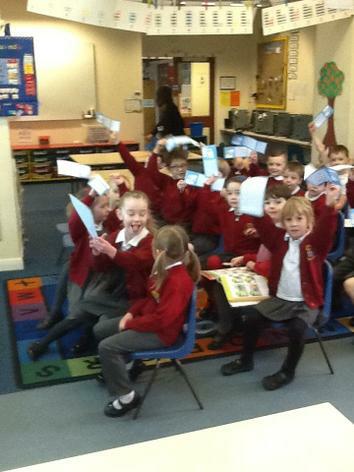 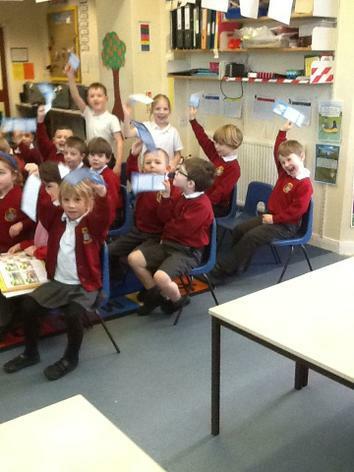 Year 1 had a very exciting first day back today. 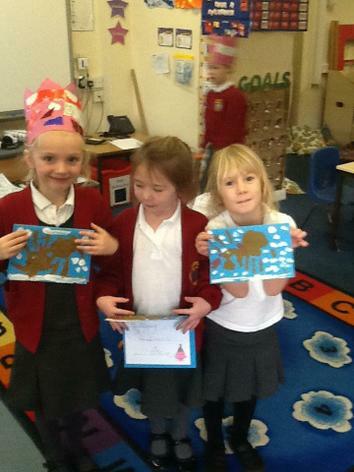 We met a very special girl named Penda and followed her journey across Kenya. 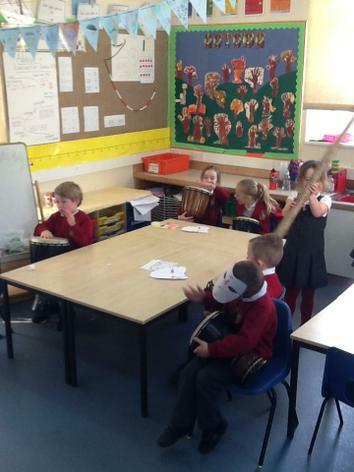 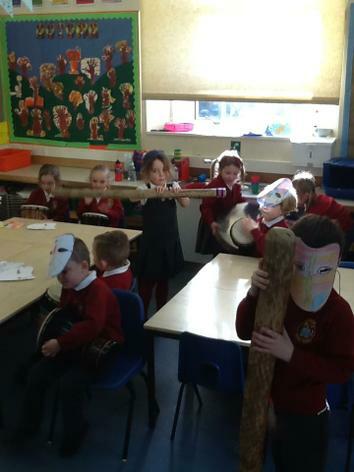 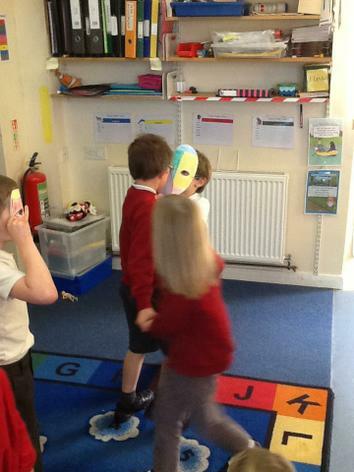 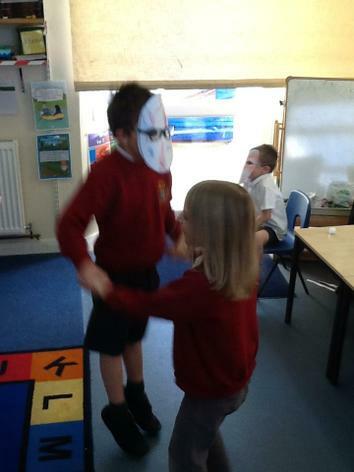 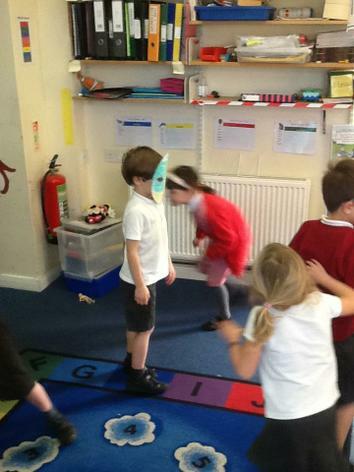 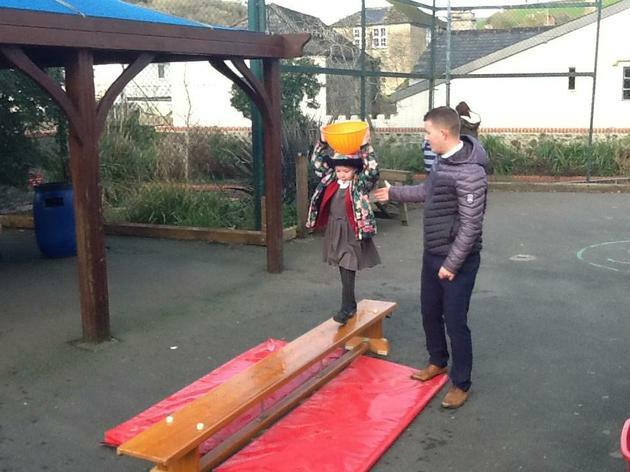 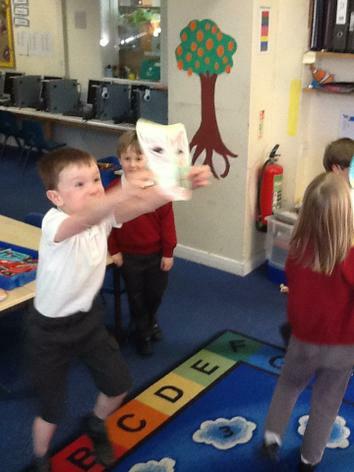 We challenged ourselves to carry water on our heads, to create a mask and dance a traditional African dance. 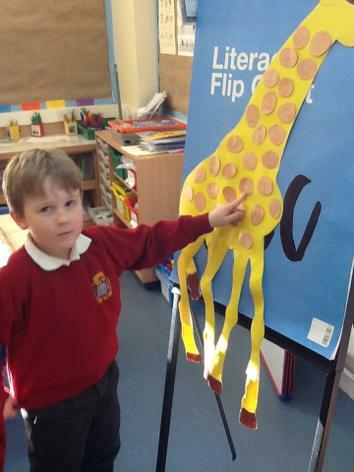 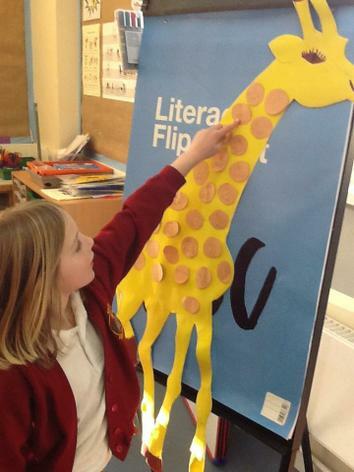 We learned about the African seasons and estimated how tall our class giraffe was! 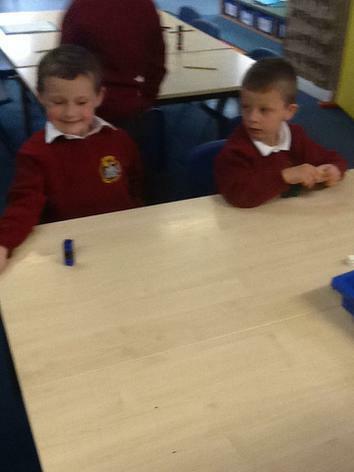 We finished the day by sharing some mango underneath our class mango tree and sharing our favorite parts of the day. 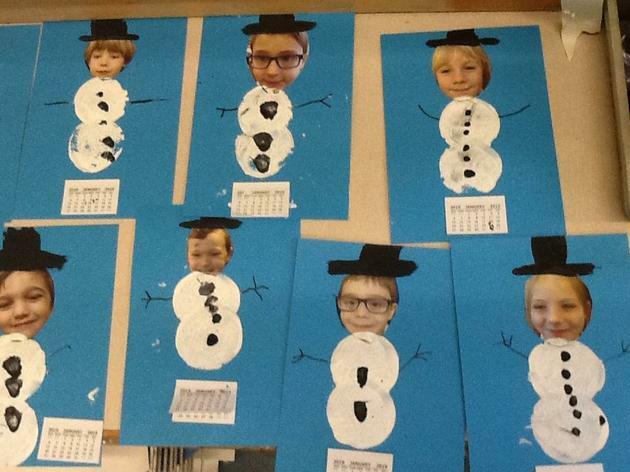 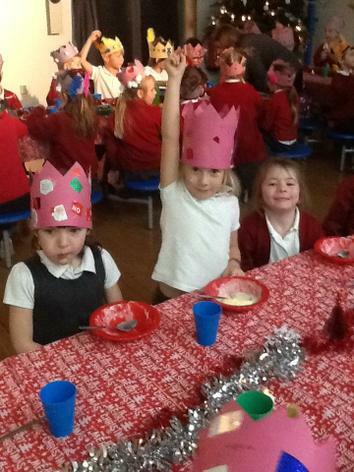 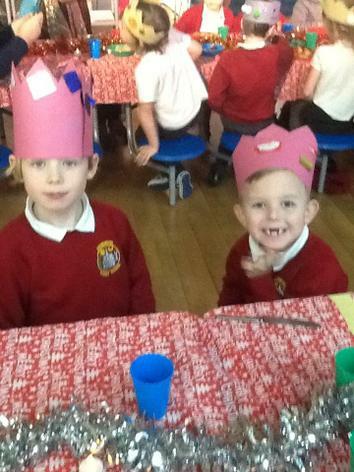 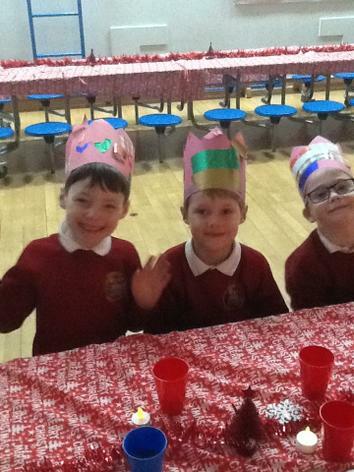 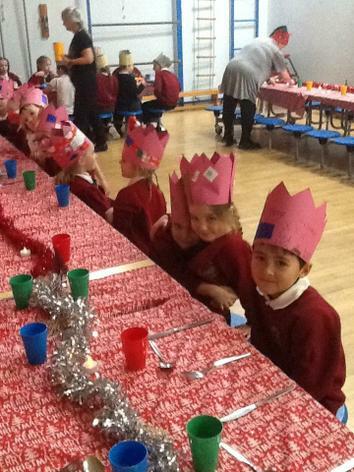 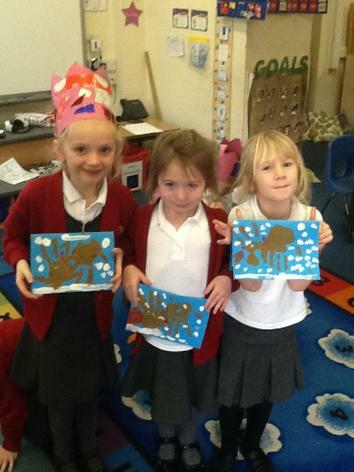 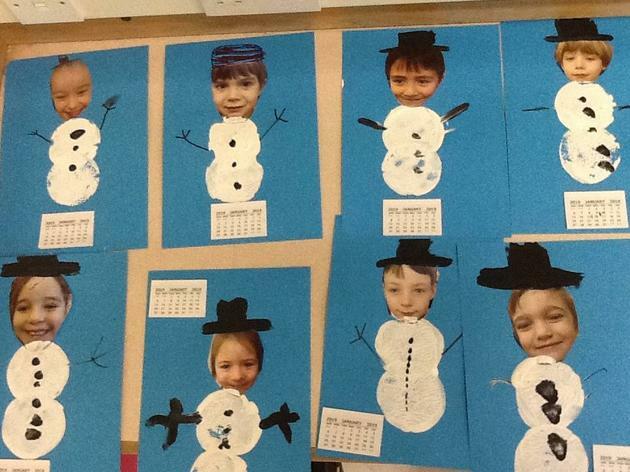 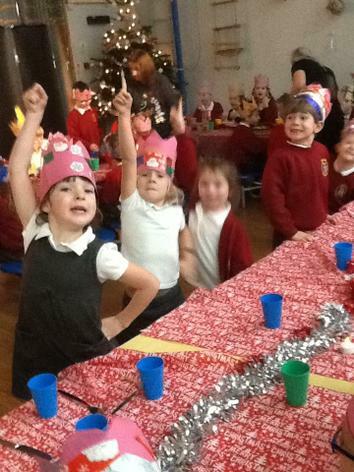 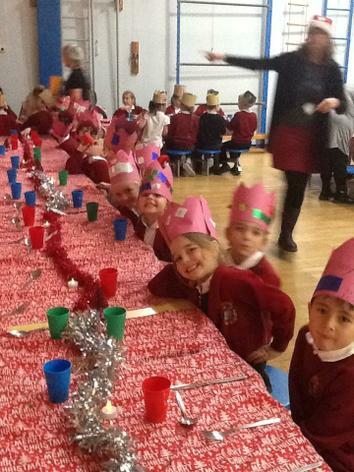 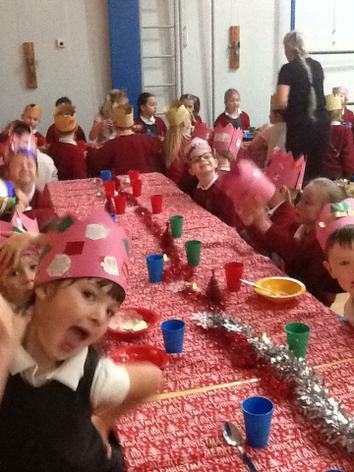 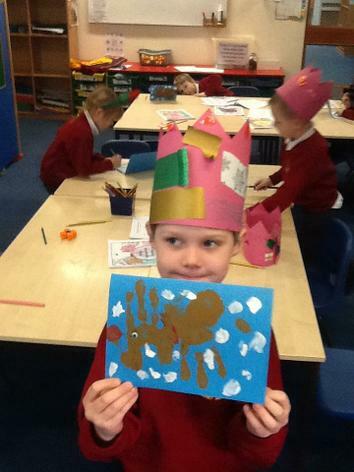 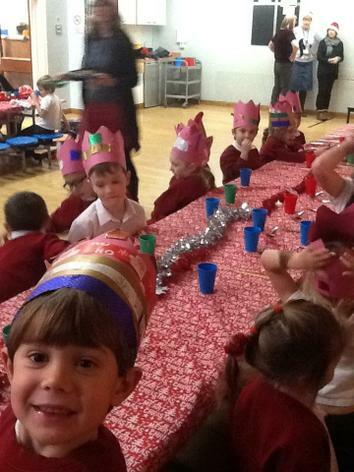 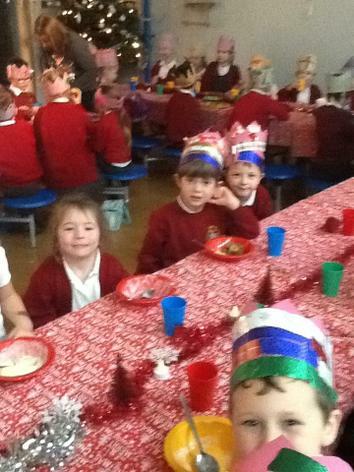 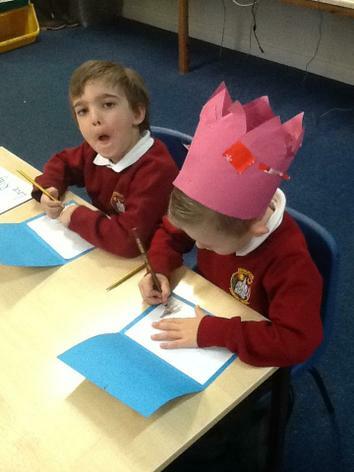 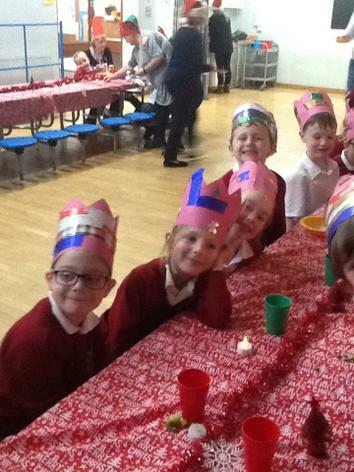 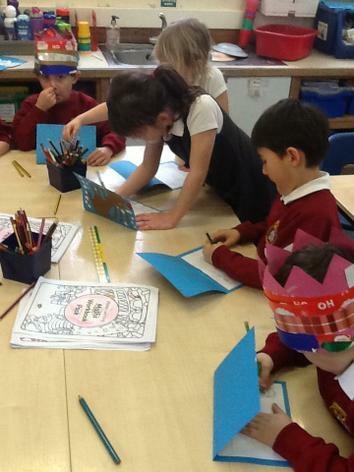 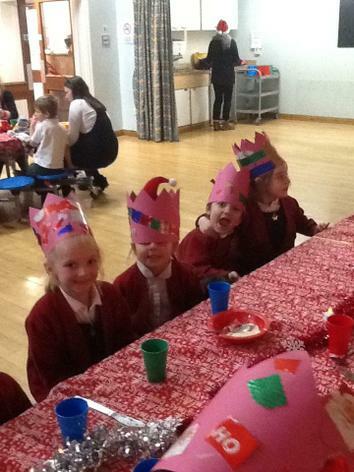 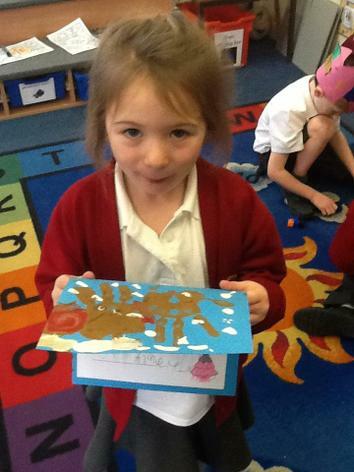 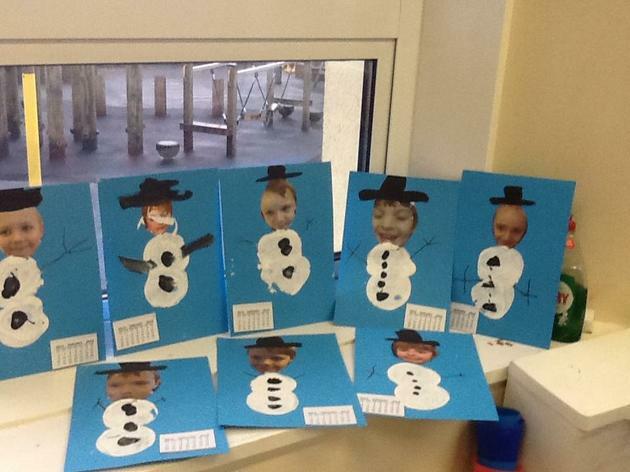 Year 1 enjoyed creating Christmas cards and eating their Christmas dinner today! 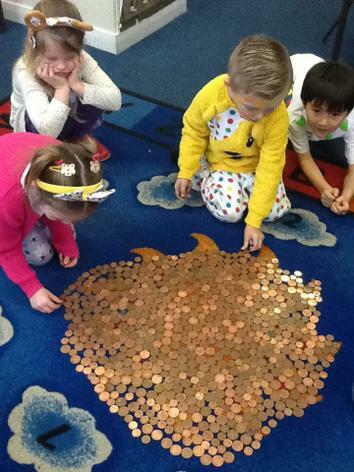 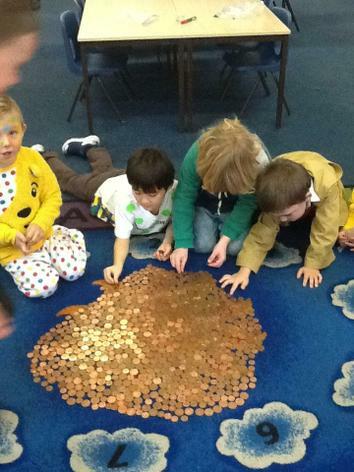 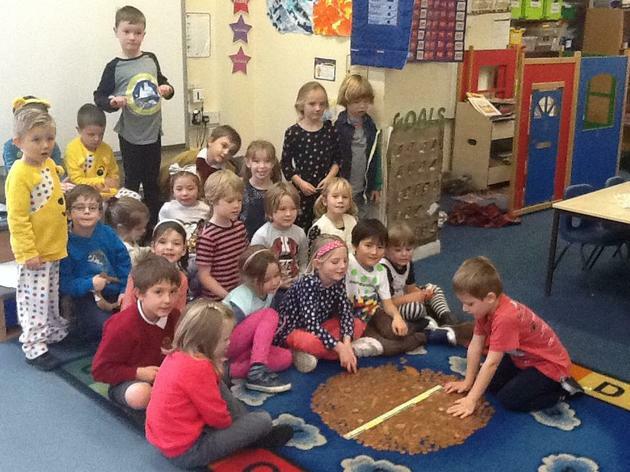 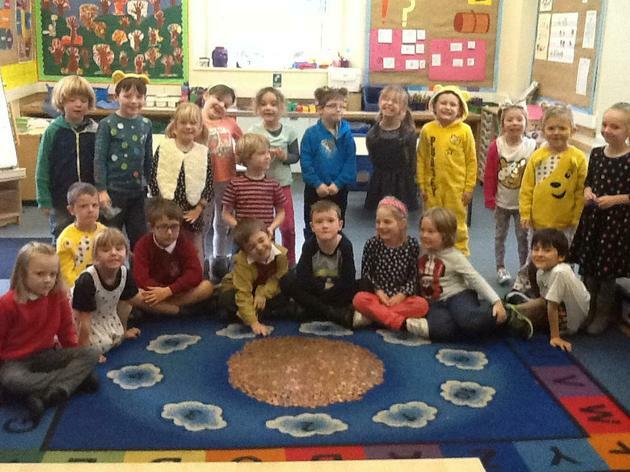 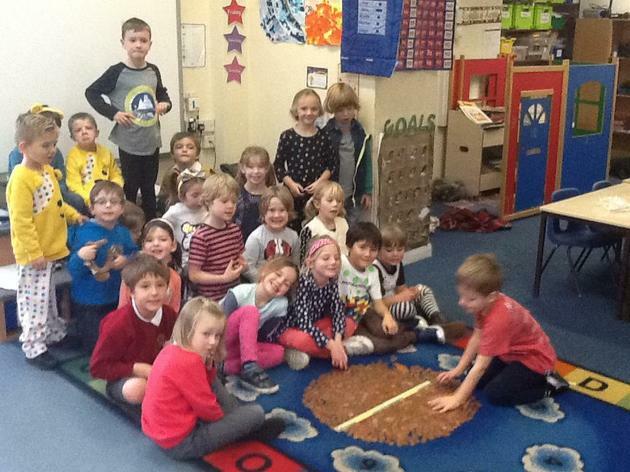 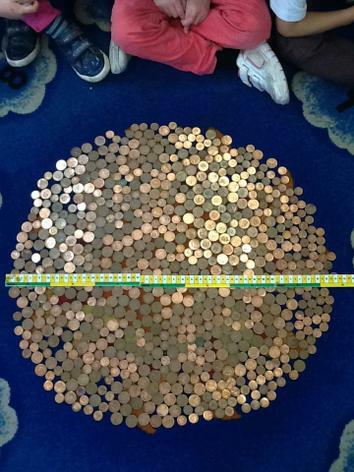 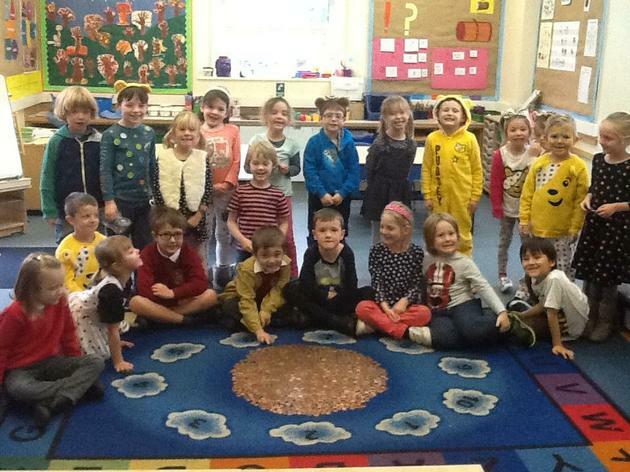 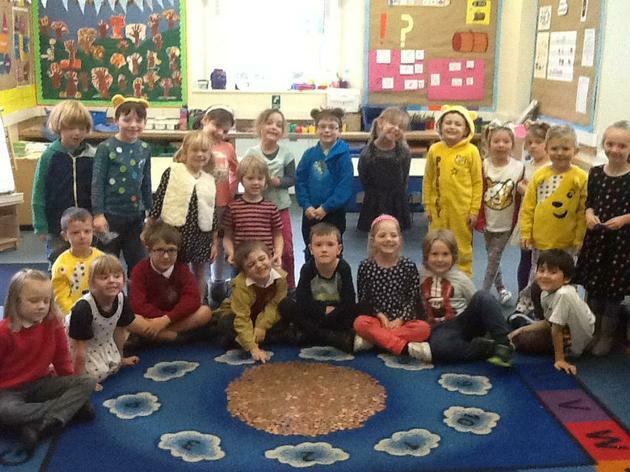 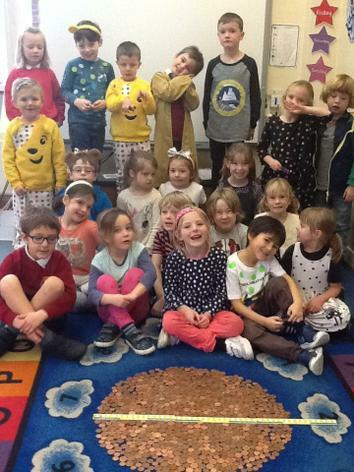 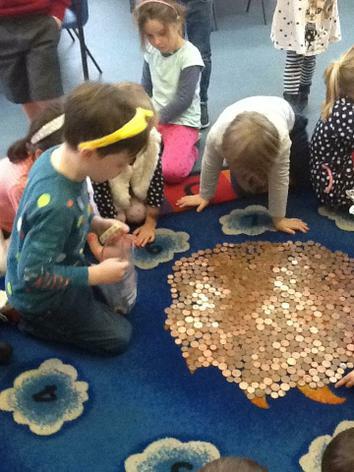 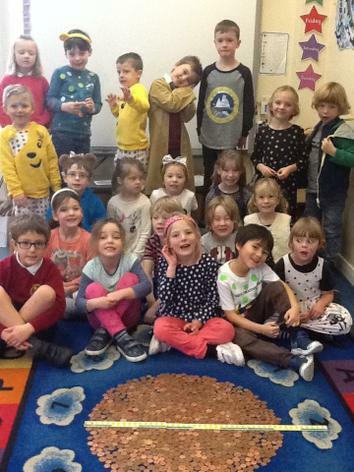 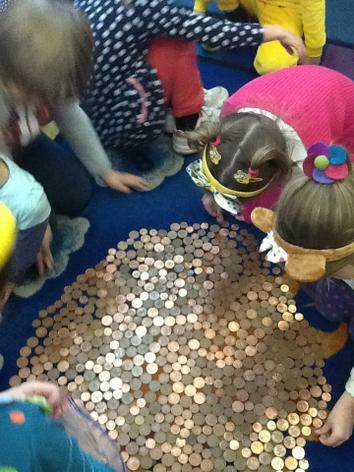 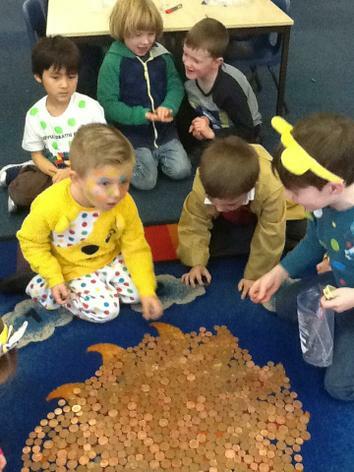 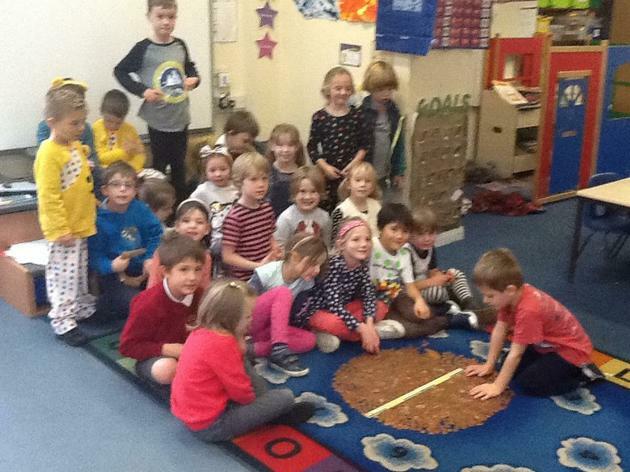 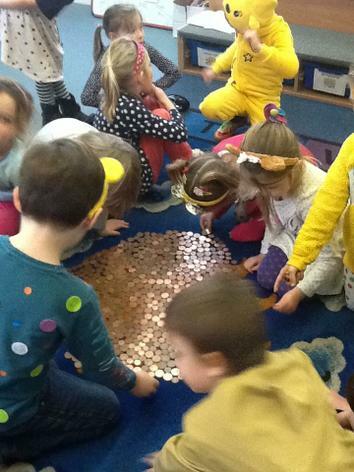 Today year 1 bought in as many coins as they could find to raise money as part of Pudsey day. 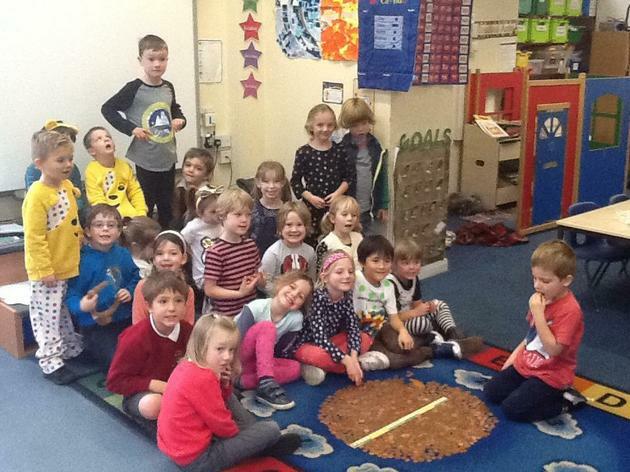 Year 1 had a really good go at creating the biggest spot in the school! 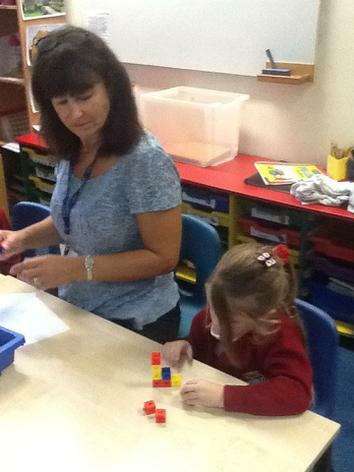 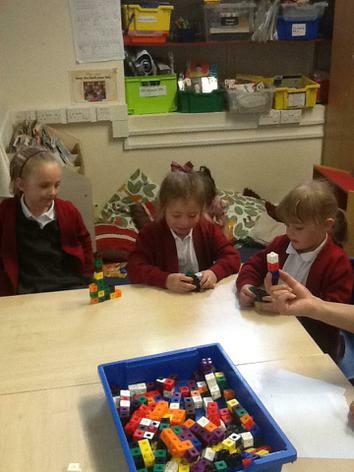 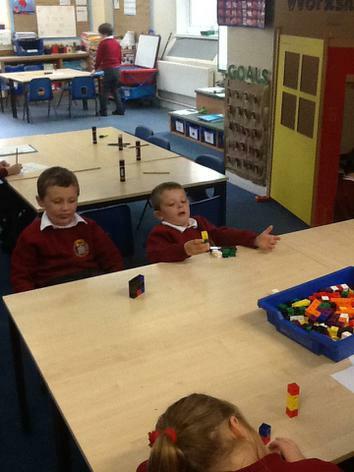 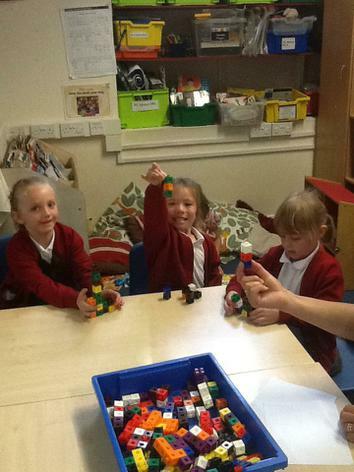 Year 1 have been learning lots about toys this term, old and new. 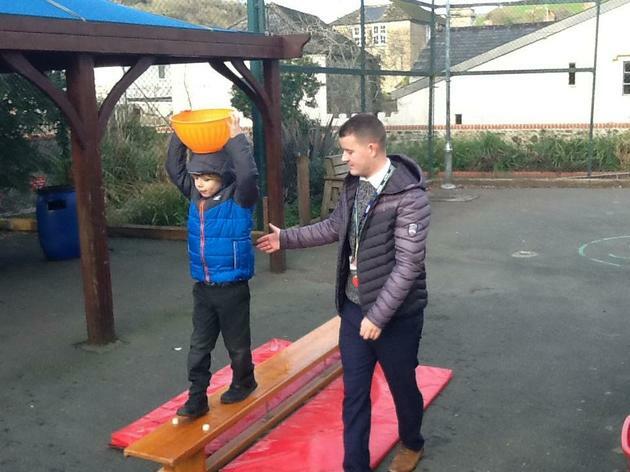 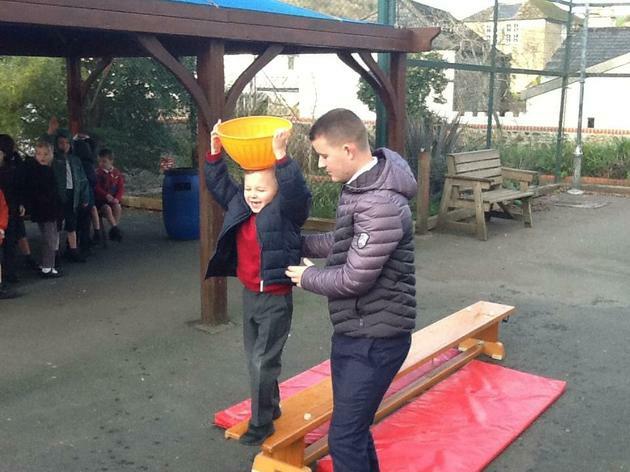 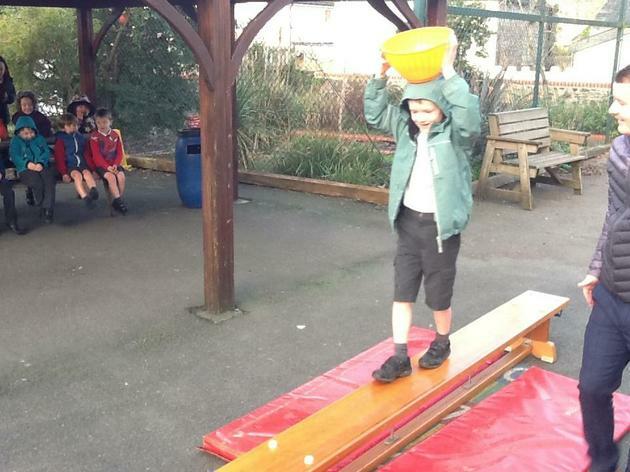 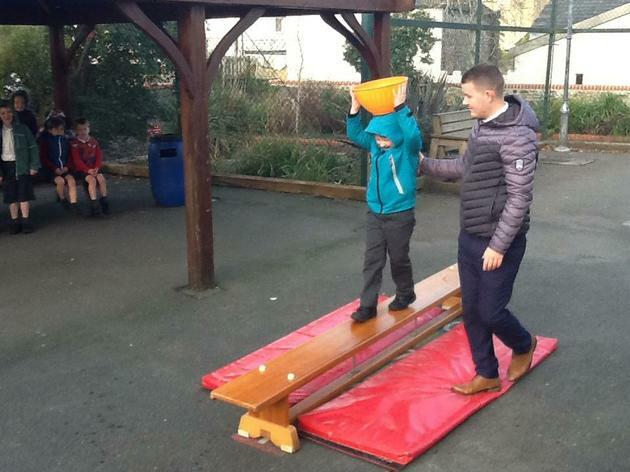 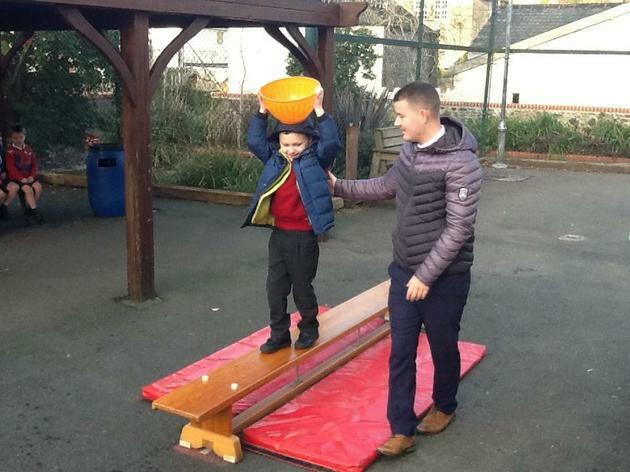 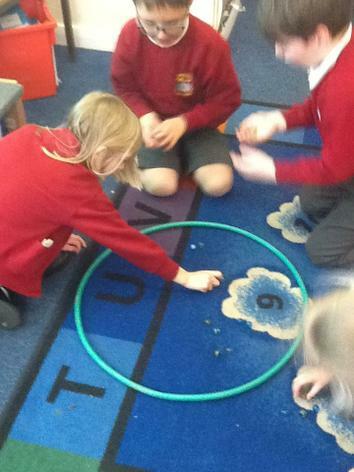 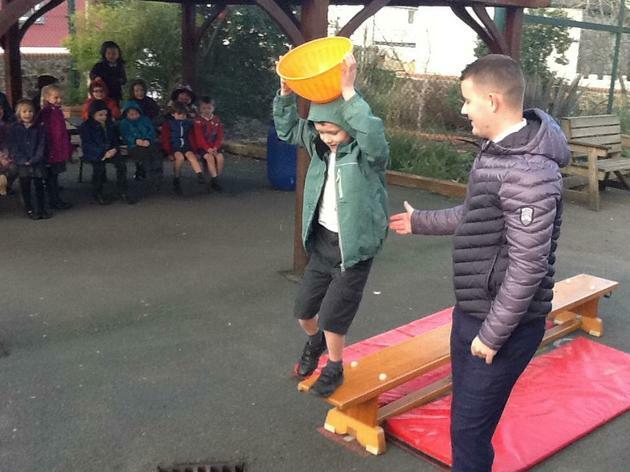 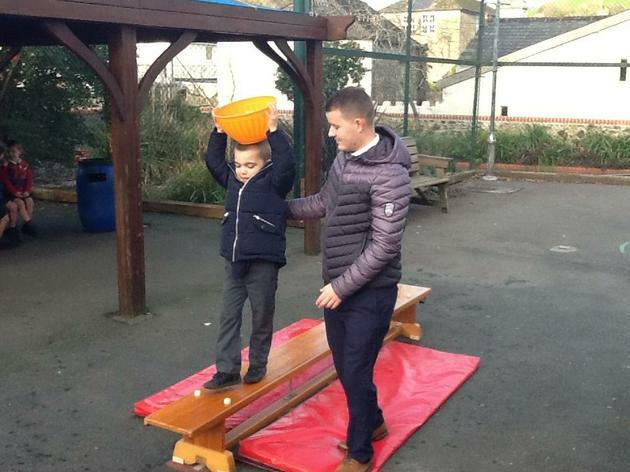 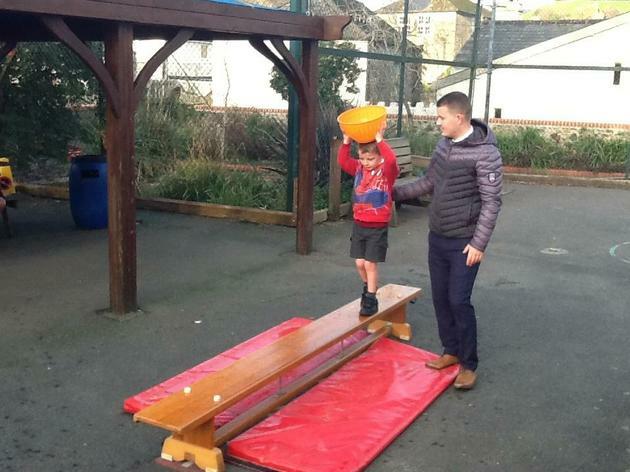 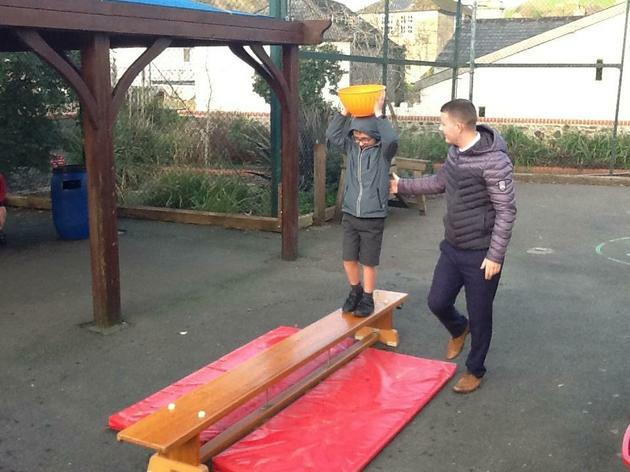 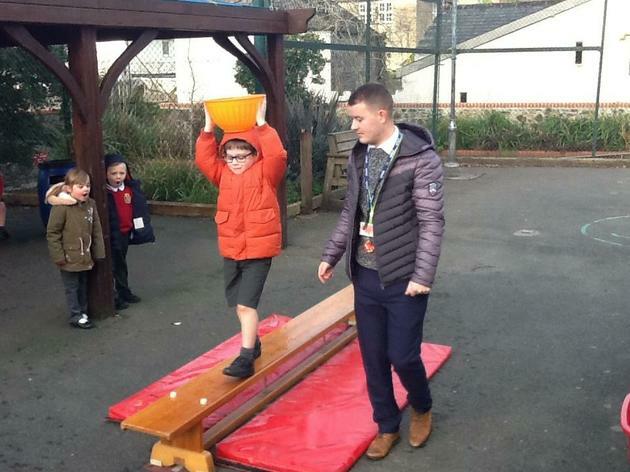 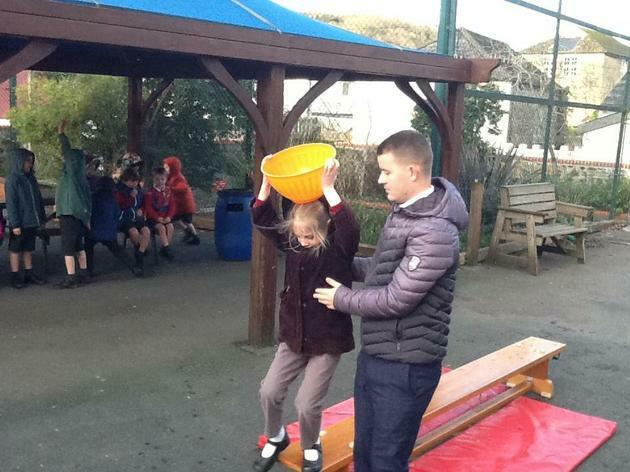 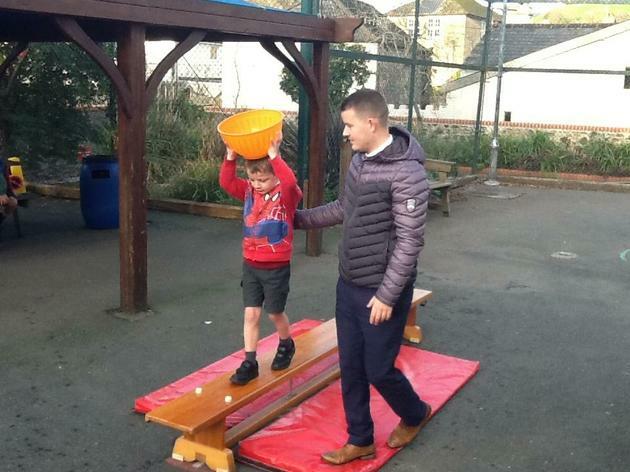 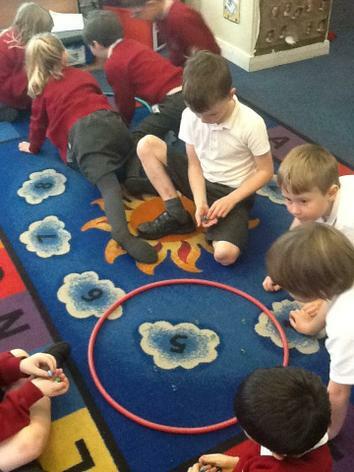 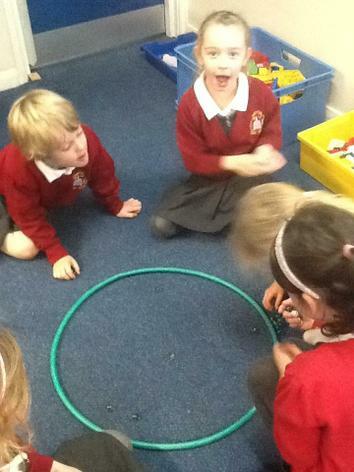 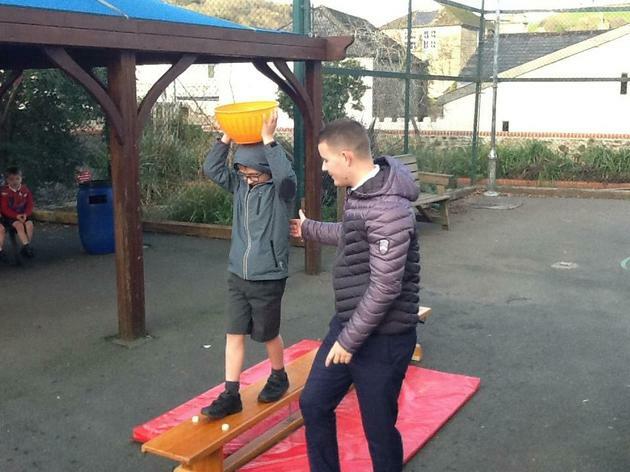 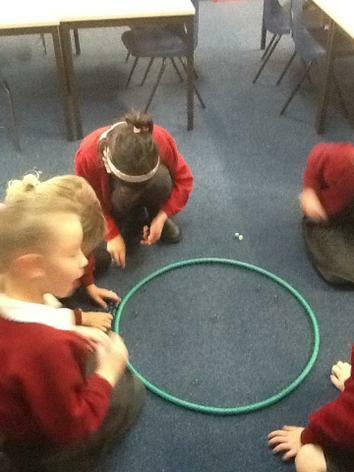 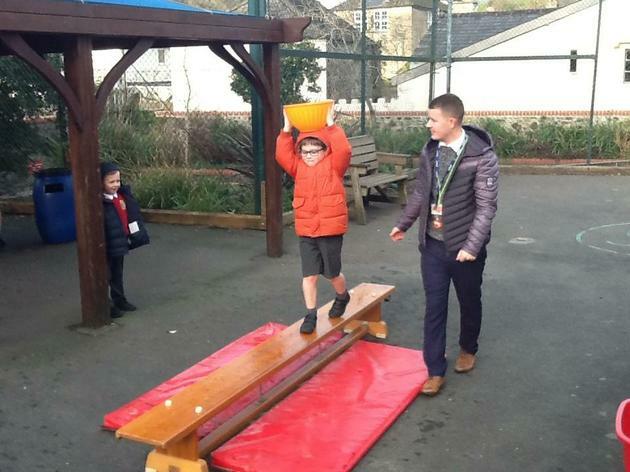 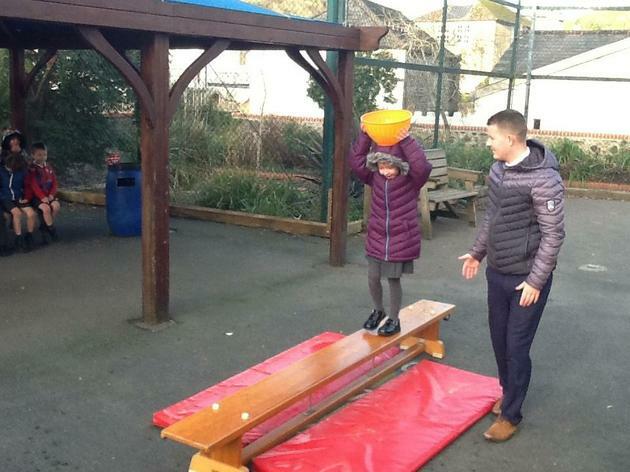 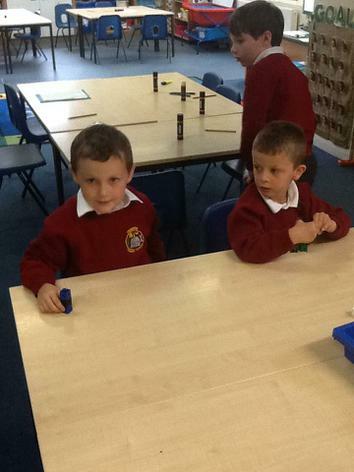 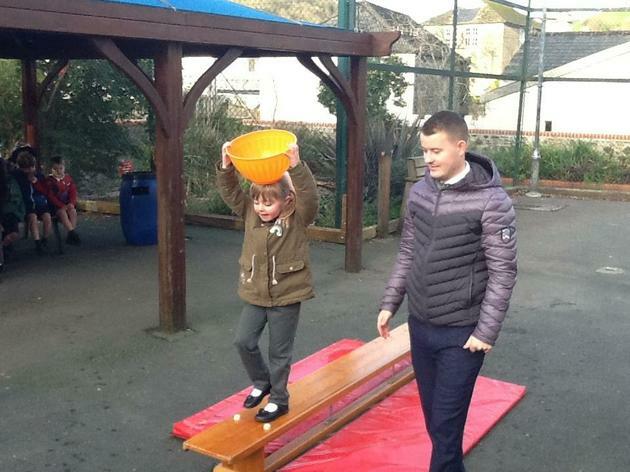 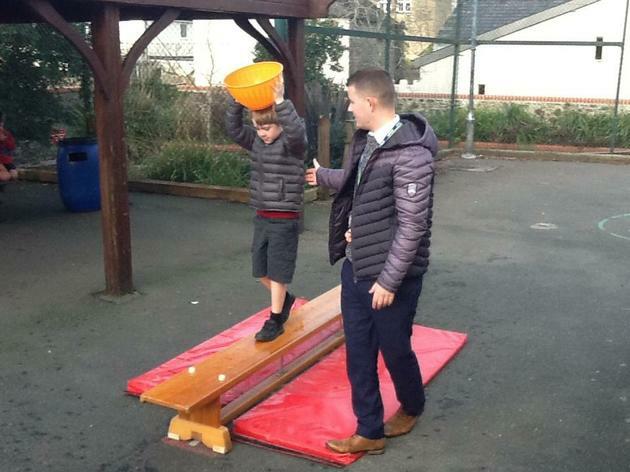 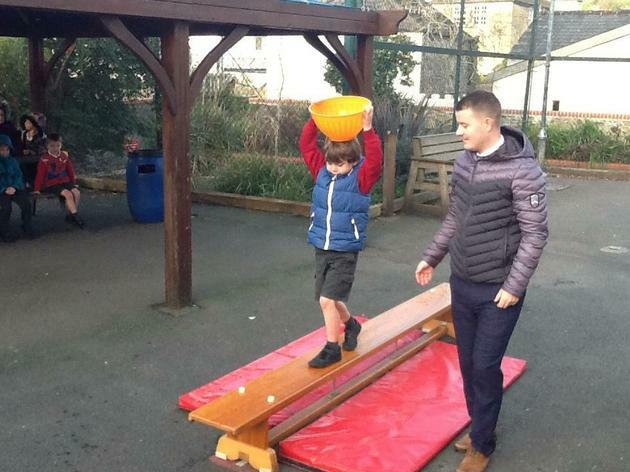 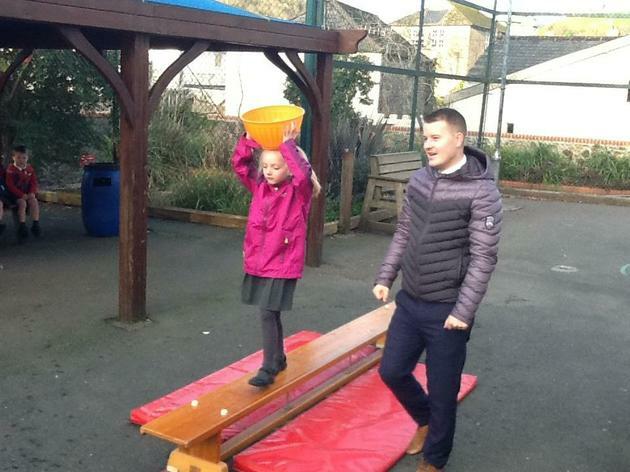 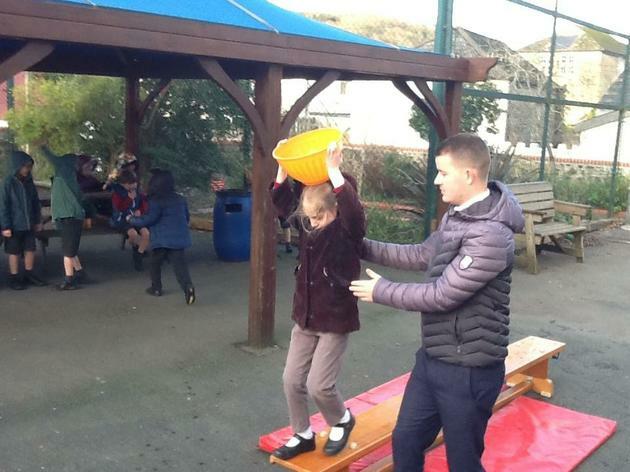 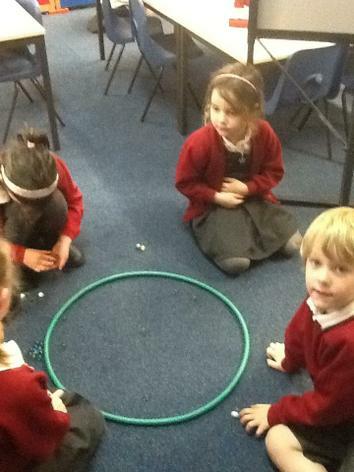 We have had a go at using our class marbles to play some old fashioned games. 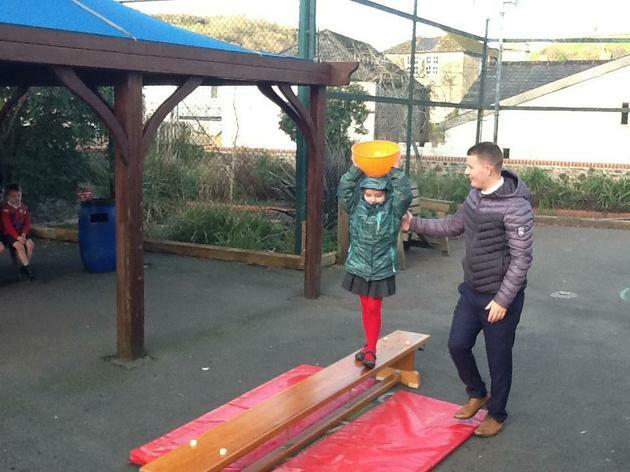 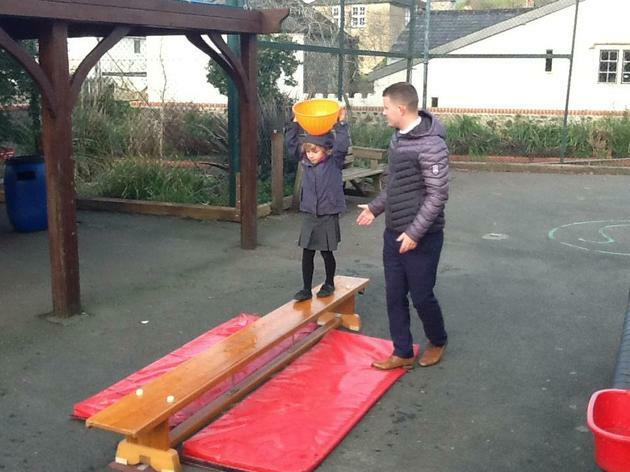 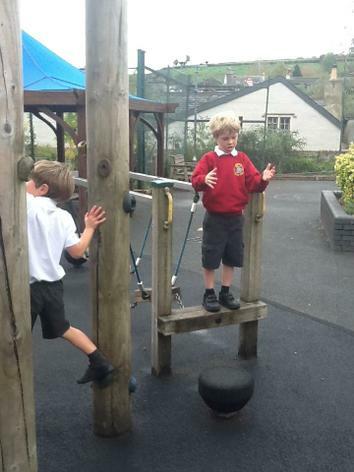 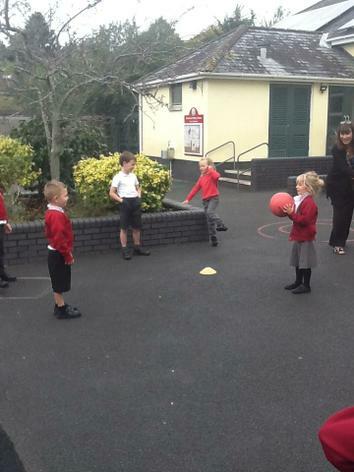 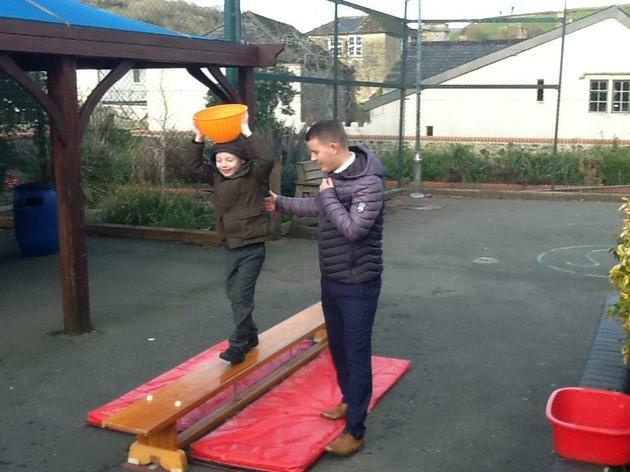 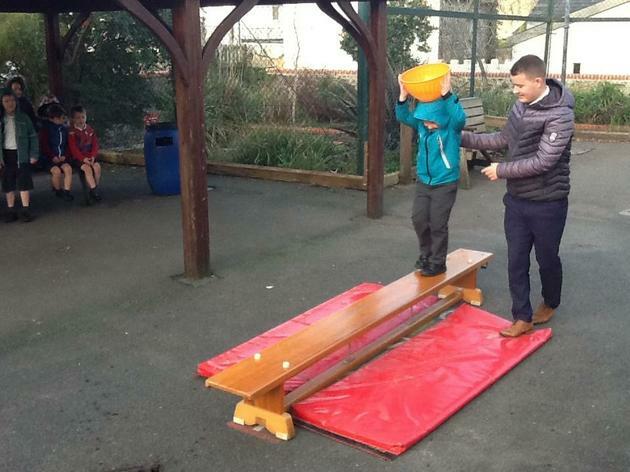 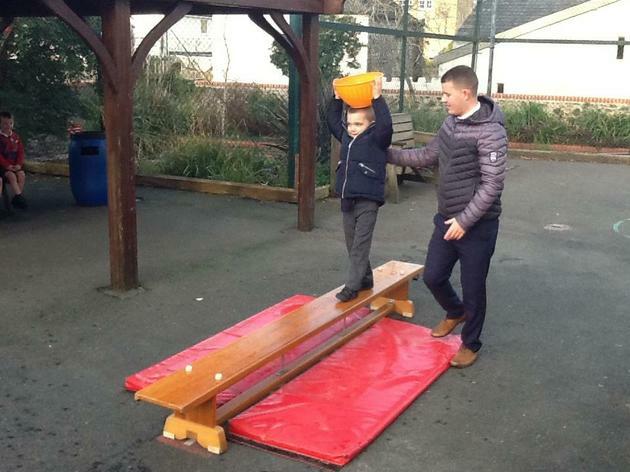 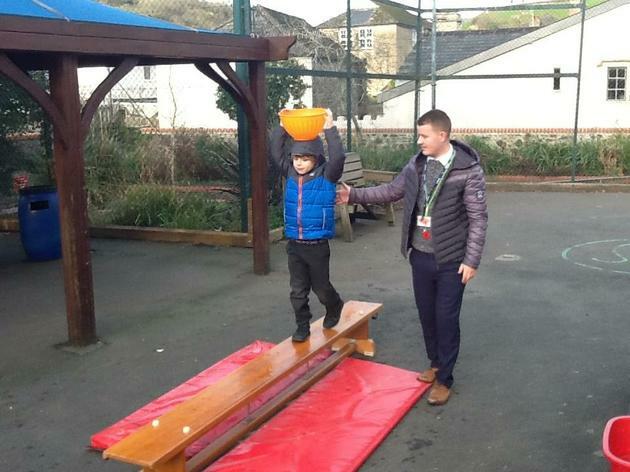 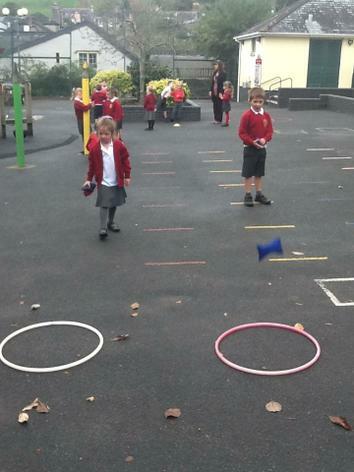 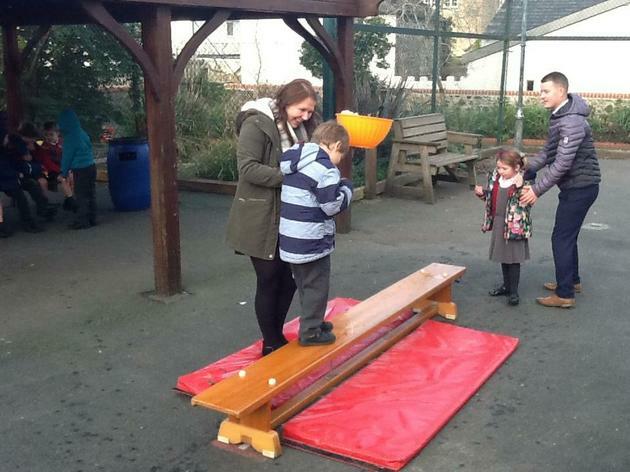 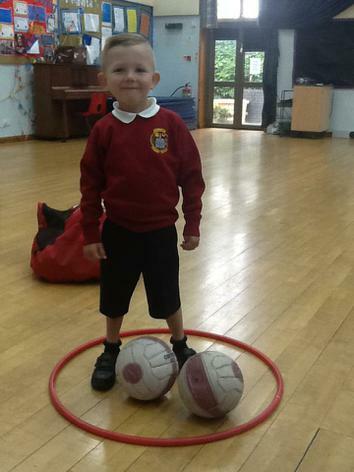 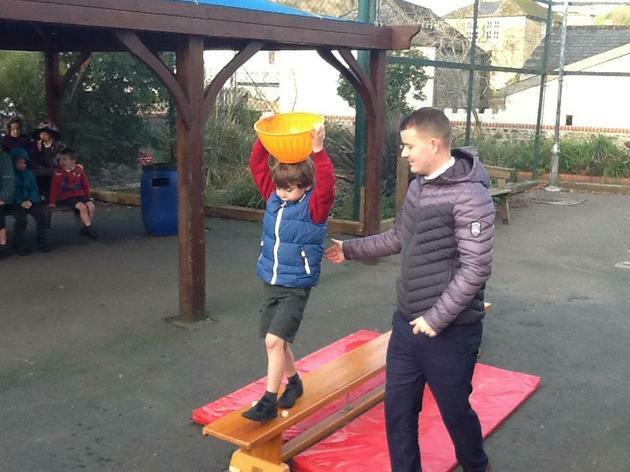 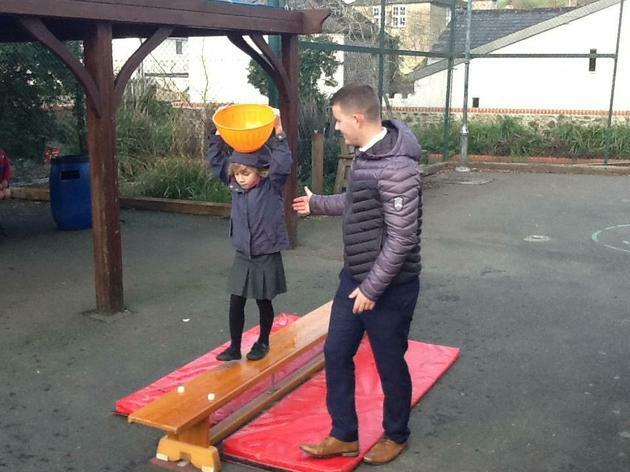 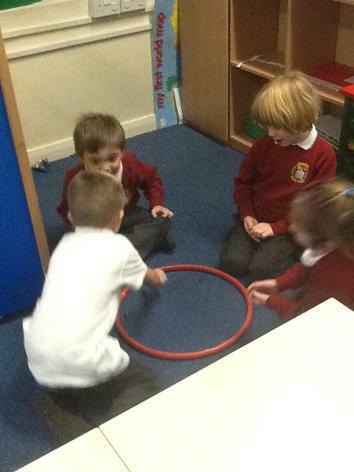 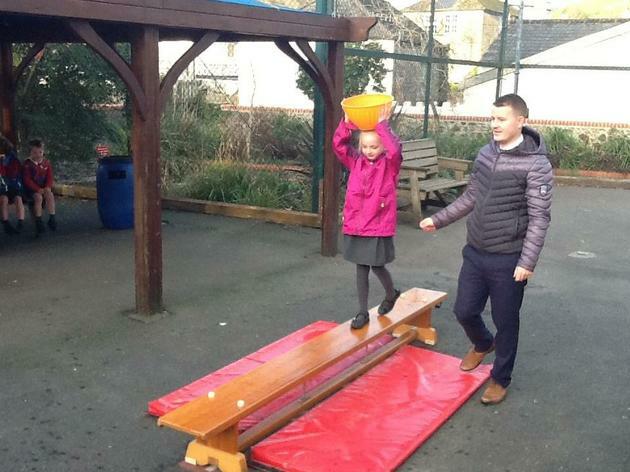 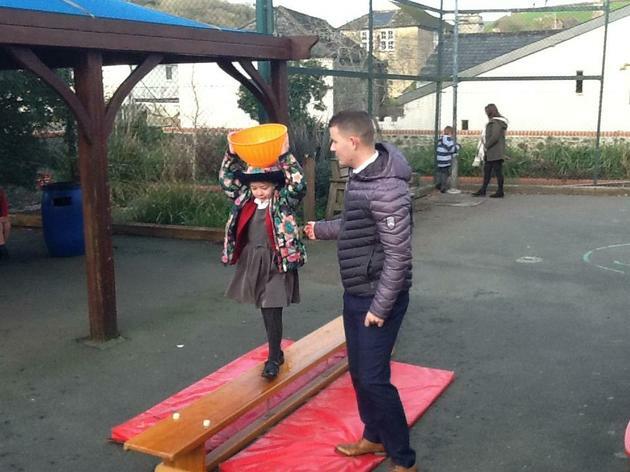 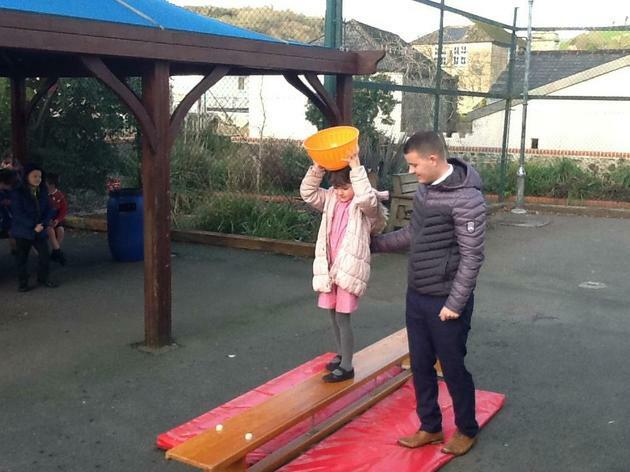 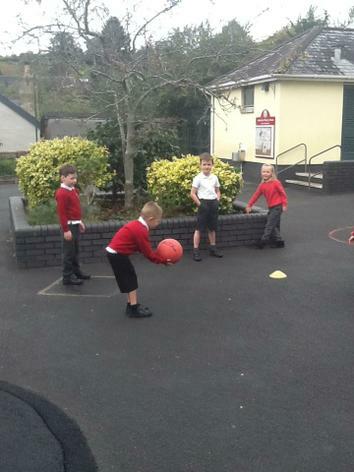 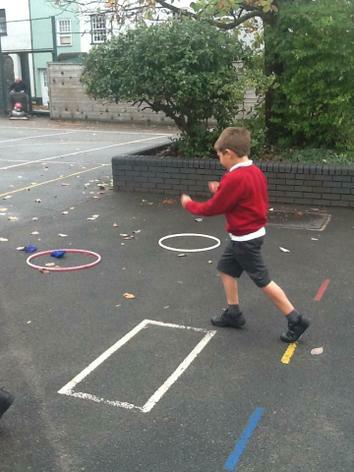 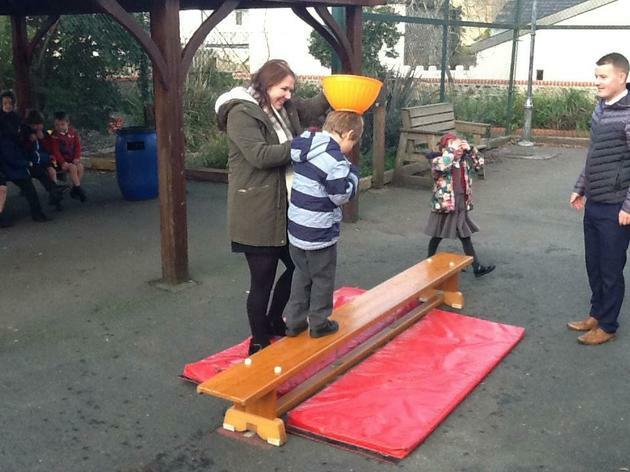 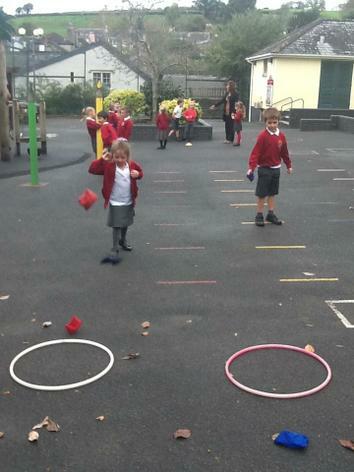 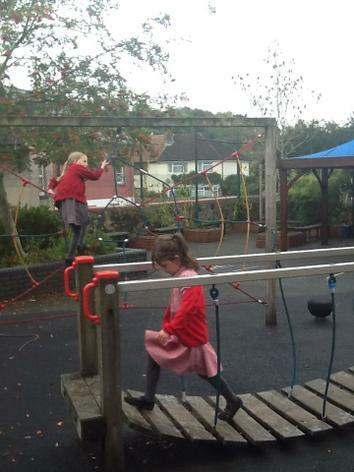 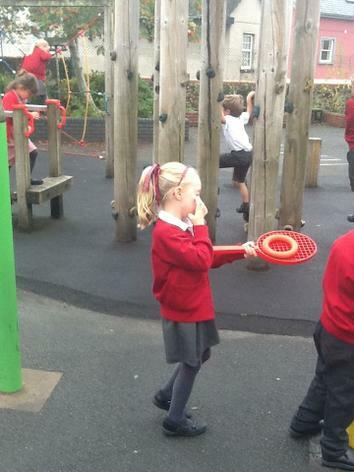 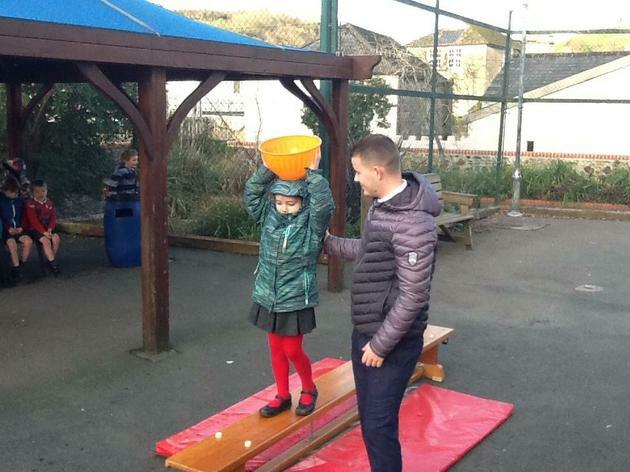 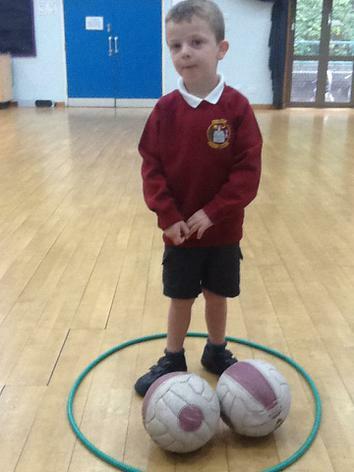 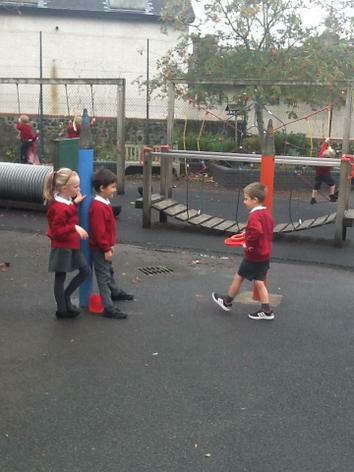 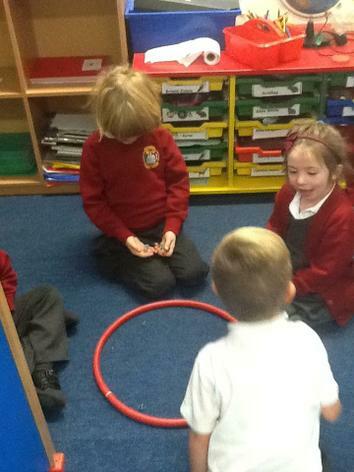 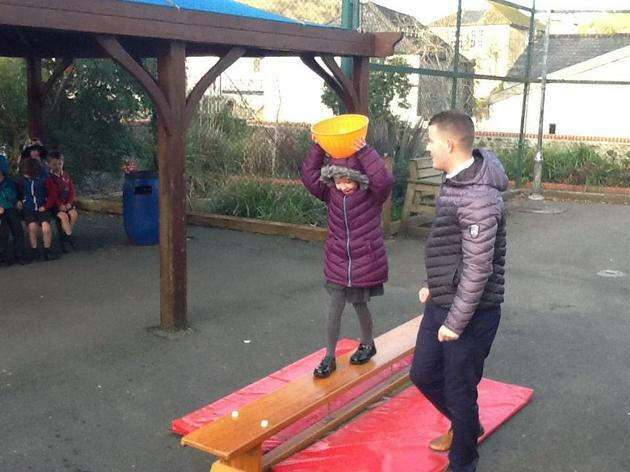 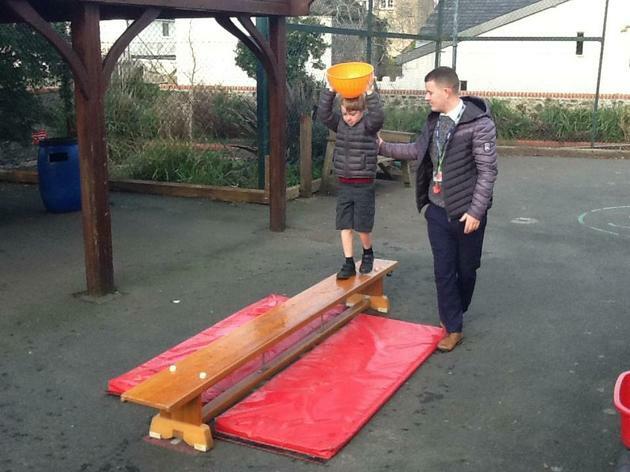 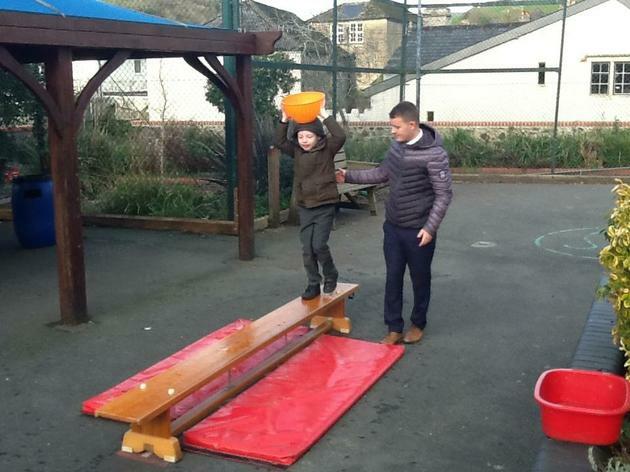 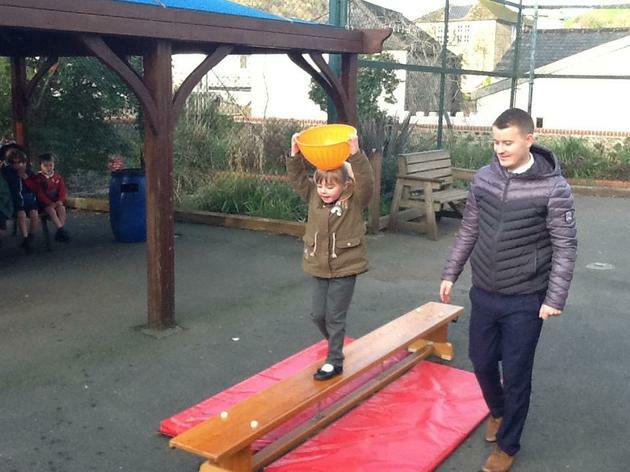 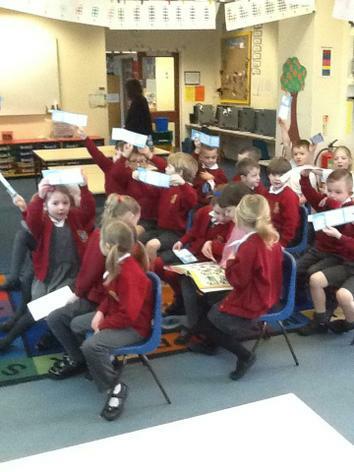 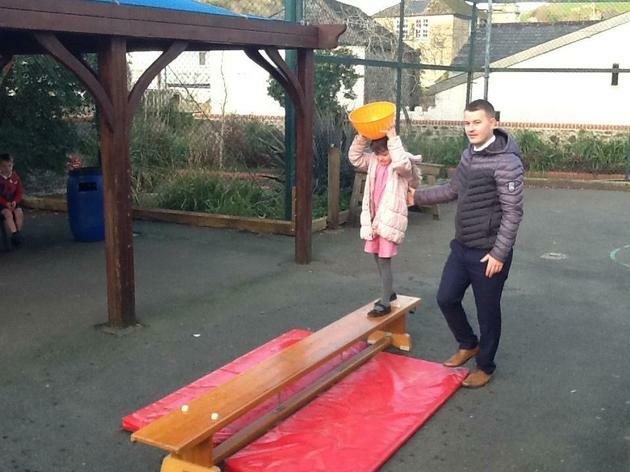 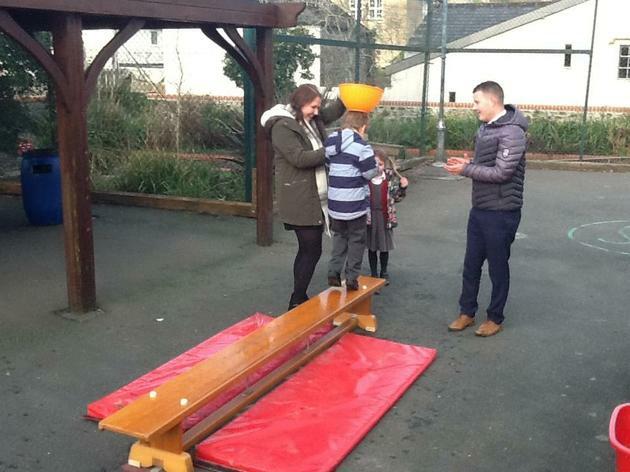 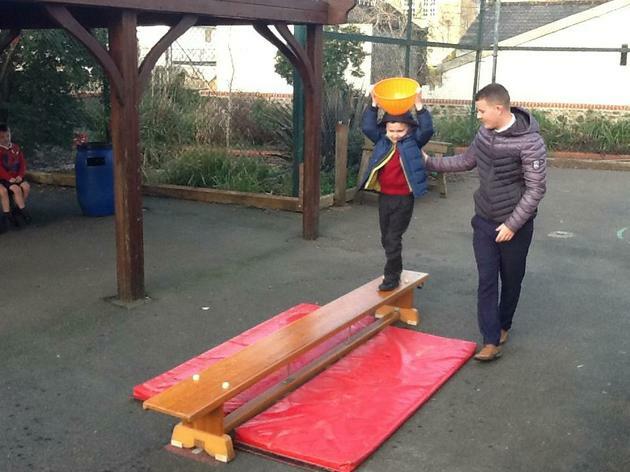 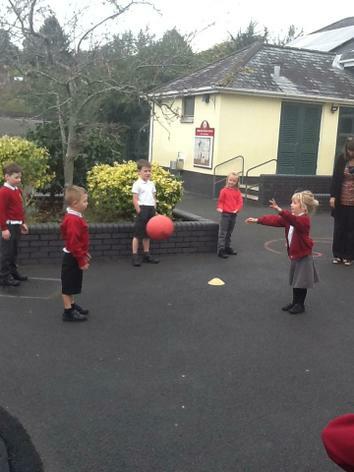 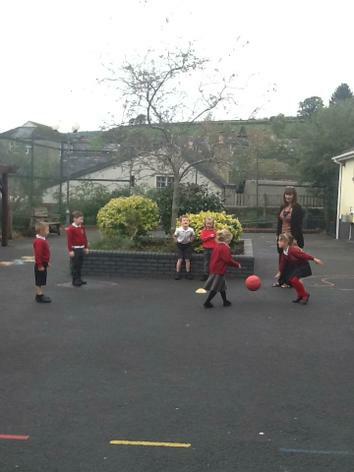 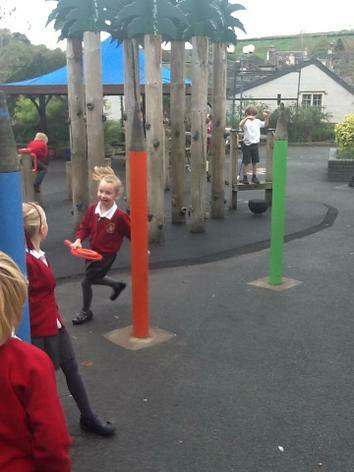 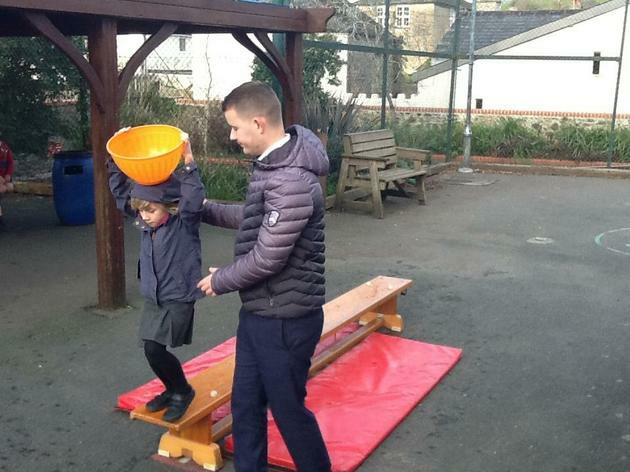 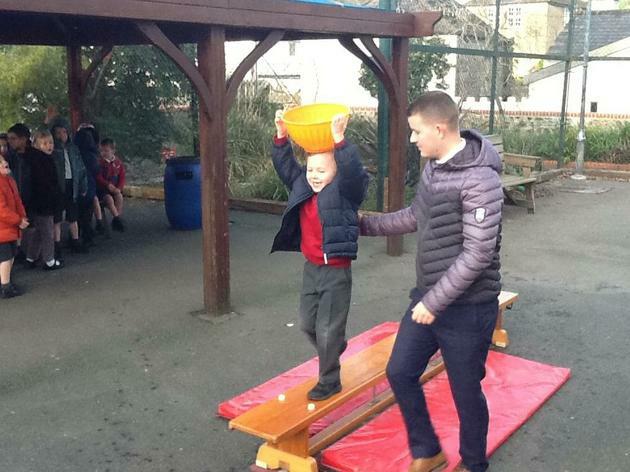 Year 1 have been playing lots of games during DPA this year. 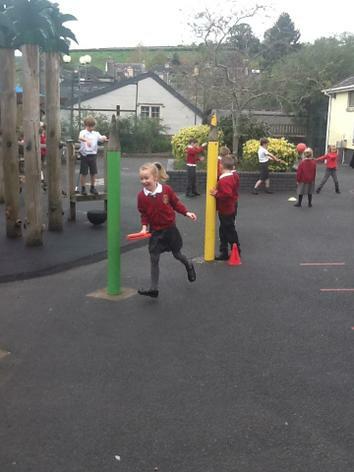 We are getting very fit with our Golden Mile running and improving lots of skills too. 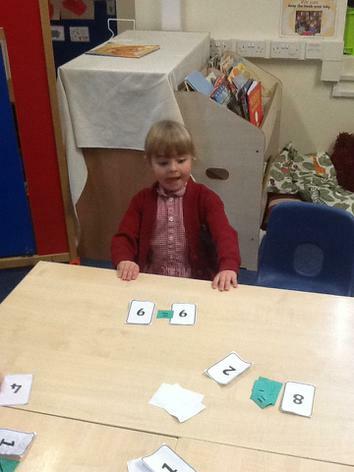 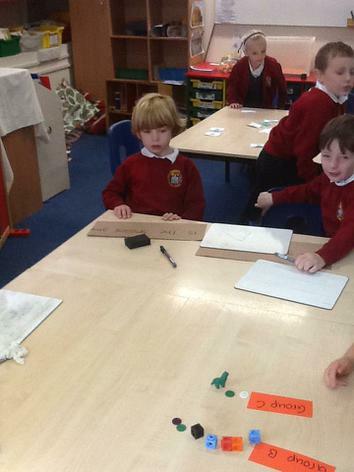 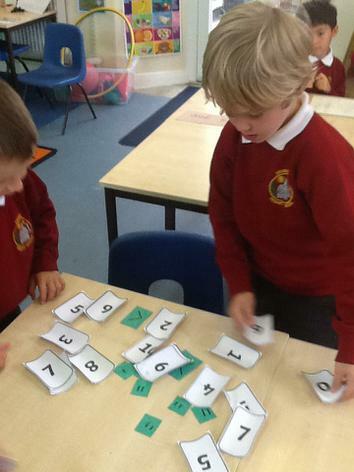 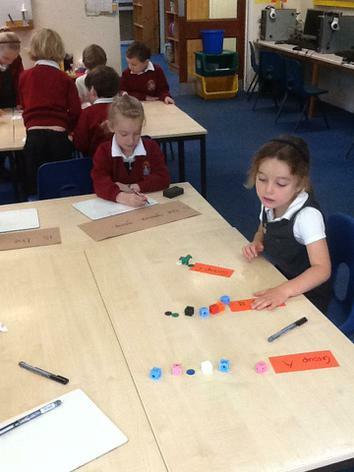 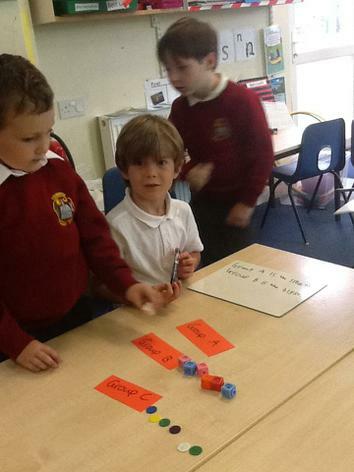 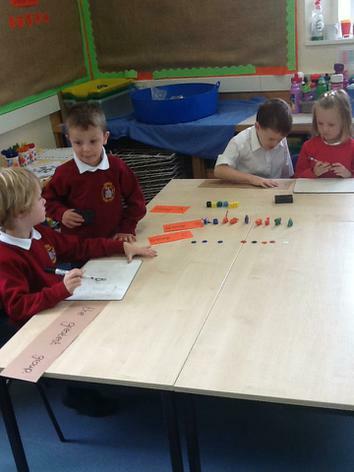 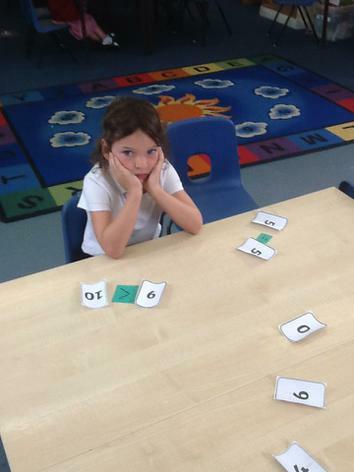 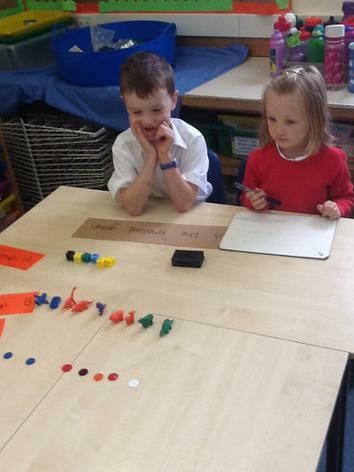 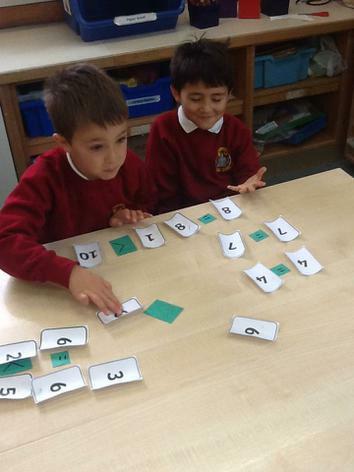 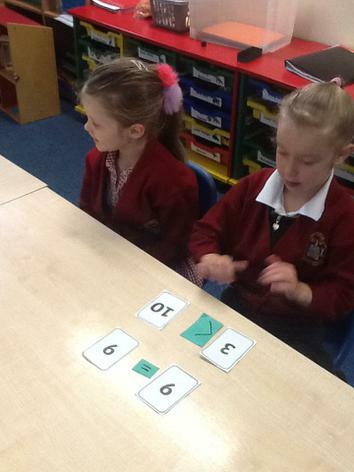 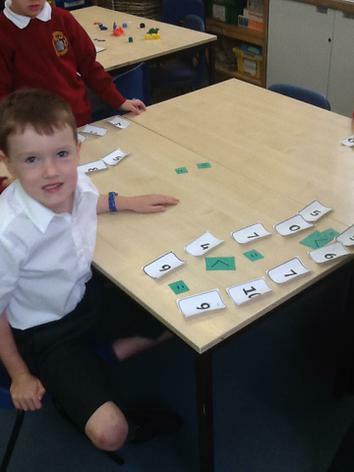 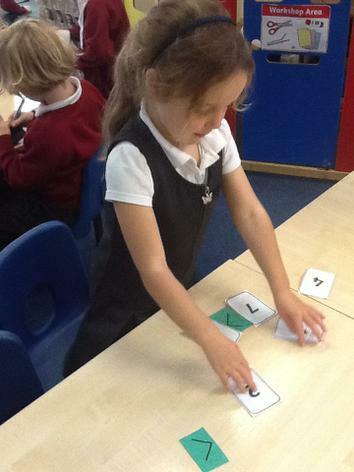 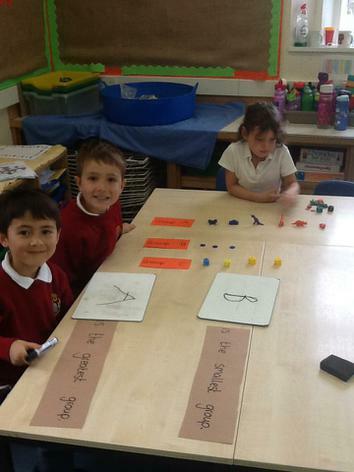 Year 1 have been doing lots of sorting and ordering this week. 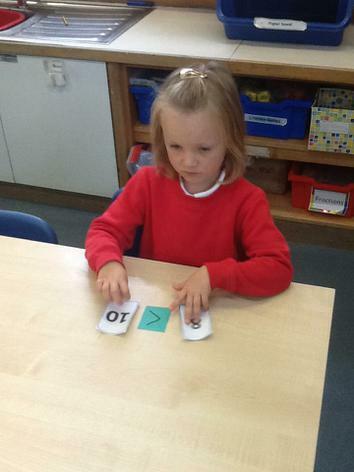 We have also been using the language of more, less, greater, fewer and smaller.